Thanks to the following for their support of the club. As you are aware Williamstown Lacrosse Club plays a major part for lacrosse in Australia and more importantly within Victoria. As a club we are focused on growing lacrosse and ensuring we lead from the front in all aspects whilst we continue our success on and off the field. In 2019 Williamstown Lacrosse Club wants to GROW THE GAME and continue to raise the bar with our Lacrosse development. We want to continue to assist with the development in local schools and our within our community via clinics and lacrosse camps. The 100 CLUB was created a few years ago and has been a vital part of achieving this goal. 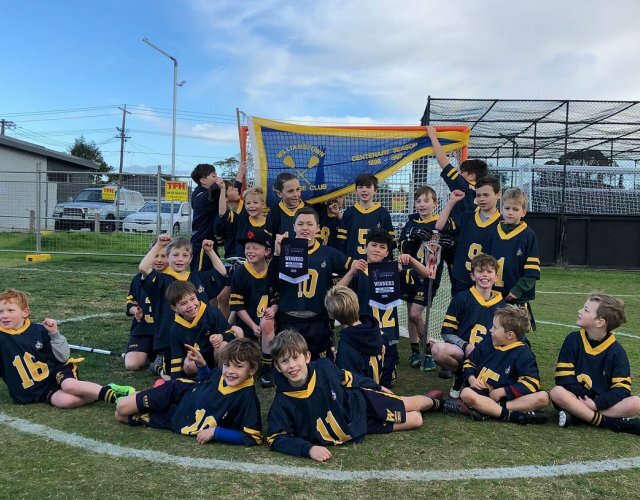 The 100 CLUB allows us to assist our juniors and raise the funds needed for the club to attract juniors from local schools and provide the kids in our community with the opportunity to begin their sporting journey via Lacrosse with the Williamstown Lacrosse Club. Thank you for taking the time to read the above invitation for the proposed 100 CLUB. If you wish to join the 100 CLUB or know someone who may wish to contribute you can make your donation to the clubs bank account (Please reference your Name and 100 Club). 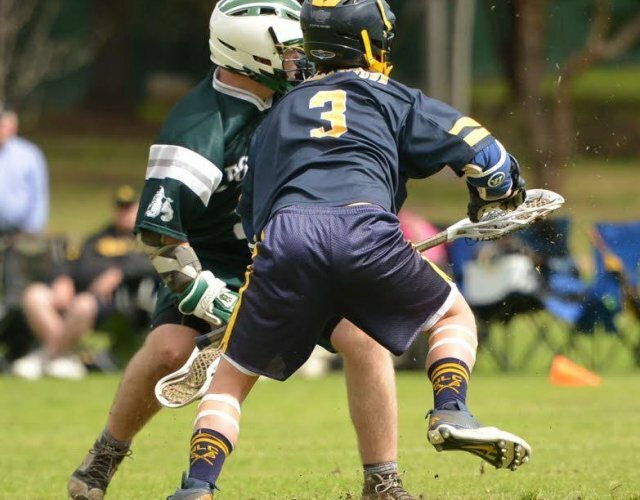 In preparation for a new Australian Lacrosse Association (ALA) database to be rolled out in 2020, at the direction of Lacrosse Victoria and the ALA we are moving to an online registration process for all WLC members in 2019. 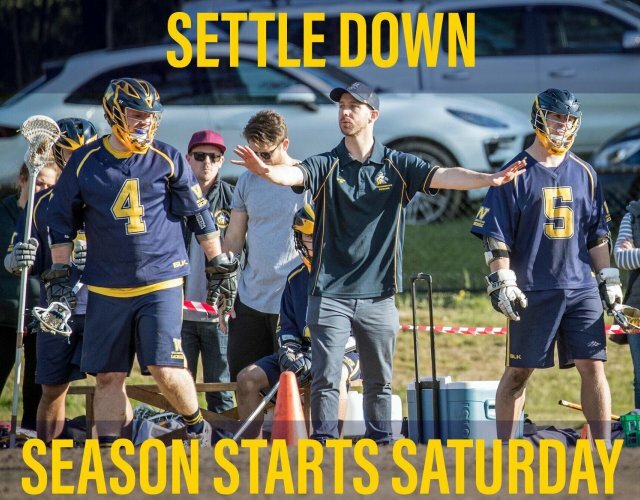 Once registered you will be able to use your Login to register for any other Lacrosse Victoria or ALA programmes including Quick Stix, ALA Coaching Courses, Box Lacrosse, State and other representative teams. 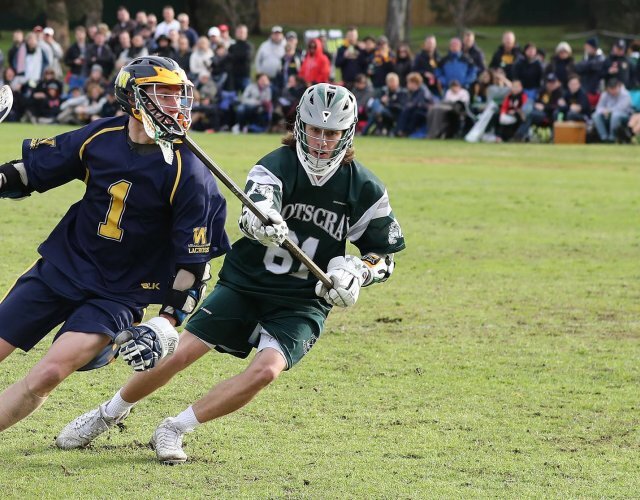 In addition, you will receive regular bulletins directly from Lacrosse Victoria. 2. Enter the number of Adults and Children (if applicable) you are registering and click “Continue”. 3. Enter your Email Address (note: please use the email address you provided to WLC on your 2018 Player Registration Form). If you have changed email address and/or have forgotten what you advised in 2018, then please email secretary@williamstownlacrosse.com.au before proceeding to Step 4. 4. If you know your Password please enter, sign in and go to Step 7 below. 5. If you have forgotten or don’t know your Password please click on “Forgot Password?”. 6. SportsTG will email you a link to reset your Password. Please enter to complete the Sign On process. 7. Once in the “1. Choose Type” screen select the name(s) you are registering for 2019 and proceed to check, enter or amend the required fields in order to complete the process. (to be paid in FULL by 30th April 2019 unless alternative payment arrangements have been agreed with Wayne Butson (President), Margaret Clarke (Treasurer) or Simon Brown (Vice President). to Treasurer Margaret Clarke in cash, EFTPOS at the club or cheque made out to Williamstown Lacrosse Club, Inc.
Congratulations to all the WLC players, the hard working team coaches & their magnificent helpers, the tireless working volunteers and our encouraging supporters and families for yet another successful lacrosse year. Click on the links below to view information and reports from the season. Save The Date: AGM - Tuesday 5th Dec @ 7:30 PM. Iiiiiiiit's a Grand Old Flag !!!!!!!!!!!!!!!!!! Div 2 def MCC 12 to 10. Adoption of 2017 Annual Report. Adoption of Financial Statements for 2017. Election of Office Bearers for 2018. Williamstown Lacrosse Club is seeking applications for coaches for the 2018 lacrosse season from interested parties. 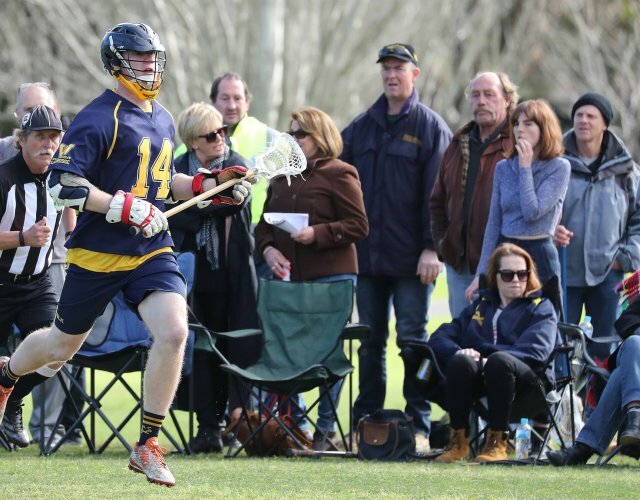 It is anticipated the club will field teams in Lacrosse Victoria's Men's Divisions: U11, U13, U15, U17, Div 3, Div2, Div1 and State League. Applications in writing outlining relevant experience must be received by Monday 13th November 2017. 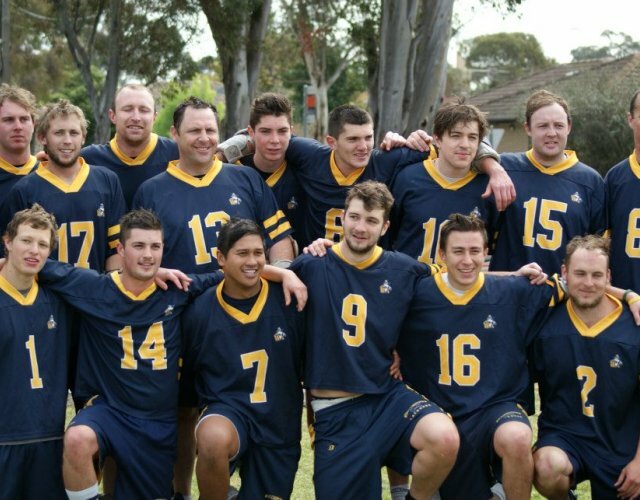 Williamstown Lacrosse Club has a long history of welcoming lacrosse players from around the world to our seaside Club. We all have fond memories of players like Shinichi Yoshikawa aka Yoshi and Gen Hasegawa from Japan, Matt Tanner and Eric ‘BJ’ Armstrong who randomly arrived at the club from Canada in 2014 and 2015. 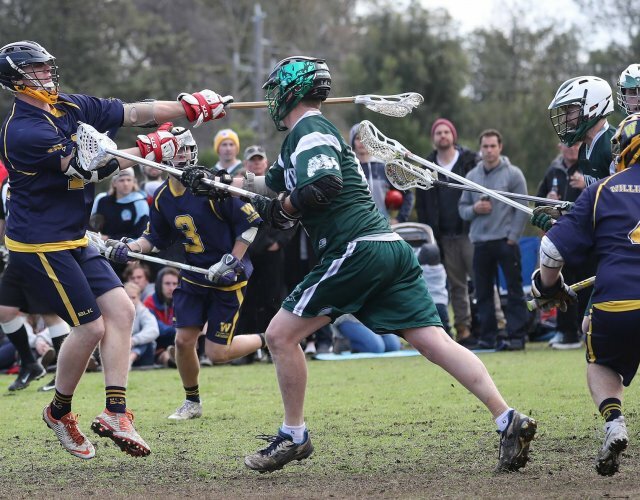 Then there are those like Brendan Maschuch (Stony Brook, USA) and Mike Sullivan (Loyola, USA) who came to the club chasing after love in Australia and have never left us! Most of these players have come to Williamstown by some form of random chance (or divine intervention, if you like). In 2016 however, after months of planning, we welcomed two young men from New Jersey to the hallowed Fearon. The two were fresh out of college and the rigours of NCAA lacrosse. Their names: Danny Murray and Paul Werner. By the end of their time here they’d be known as, ‘Lieutenant Dan’, ‘Buzz’, ‘Woody’, ‘PJ’, Big Strawberry’ and ‘Puppy Dog’ (to name a few). The guys injected new life into the senior playing squad and with a team that was already tight for spots they helped us through some tough winter months where we had a lot of injuries and absences. They also injected a untold number of laughs. Ultimately, the guys also played a huge part of State League going back-to-back in grand final wins over Footscray and securing the club’s 32nd State League premiership. We sat down with the guys to reflect on their time at Williamstown by doing a little Q&A session. 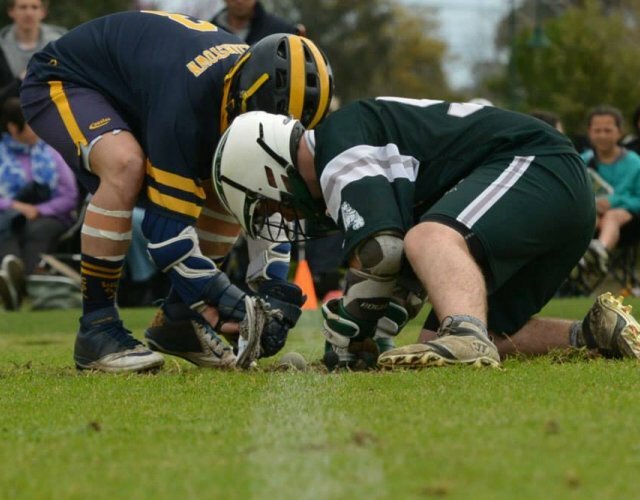 Q: When did you first decide you wanted to come to play lacrosse in Australia? Danny: Paul and I have been buddies since high school, since the beginning of our friendship we always talked about making a trip to Australia. After hearing my teammate's experience from playing in Perth, I knew I had to give it a shot. Paul: In high school Dan and I had the vision to play lacrosse in Australia. Q: How did you come to choose to play for Williamstown? Danny: I chose Williamstown because of how professional you acted throughout my process of choosing a team. You explained every aspect of what to expect perfectly: the club as a tight knit crew full of selfless caring people, the support for accommodations and work, and lacrosse play. The location of Williamstown beach also sold me, I loved the suburban feel. Q: What did you expect of the experience before you arrived? Paul: I try not to have expectations because having expectations inevitably leads to disappointment. That being said, if I were to have had the highest expectations prior to the trip, my time in Willy would have surpassed those expectations. Specifically the awesome people we met through the club I will always remember. Danny: I had no clue what I was walking into. Knew you guys love your beer and are super sarcastic. That's about it. Q: What were your first impressions of Williamstown lacrosse Club? Danny: I will never forget the first night getting to Australia. Showing up to practice that night and skulling a beer maybe 2 minutes after leaving the field. Everyone seemed very laid back and welcoming. Paul: A family. Guys who liked to play lacrosse and didn't have a problem having a good time on the ‘Itchy Green Pants’ and making fun of one another. Q: How did you find the level of competition in Melbourne? Danny: The competition was good. Many great players but there is a big drop off in talent at the bottom end. Paul: The competition was very physical. One aspect that really stood out was the superb goaltending, there are some absolute guns between the pipes. Q: What was it like winning the State League grand final? Danny: One of my best memories ever, felt like we were on top of the world. It was an absolute blast playing for Williamstown in the first place, but winning the grand final was the cherry on top. Everything came together perfectly and it seemed like it was meant to be. (Mad Monday is a whole other story). Paul: Winning the State League grand final was a good way to go out. That was always the goal with our team and it was nice to see us rebound back from some losses and win when it counted. Q: You did a lot of lacrosse clinics for primary school kids, how did you find that? Danny: The kids were absolutely hilarious. It was so fun hanging with these kids every week because they seemed interested and wanted to learn. They always found a way to have fun learning the basic fundamentals of the game. Paul: The clinics were great the kids really got into it. I think there is a lot of untapped potential in the younger generations, hopefully we helped a few see the light and start playing the creators game. Q: What else did you do for work? Danny: We worked at Santorini restaurant for a couple of weeks as waiters and bar tenders. This was good work but it conflicted with our training and playing schedule. We later found jobs at Monza Imports working under the one and only ‘Ash Moolie’ (Ash Wilkinson). It was a warehouse job with very lenient hours and great pay. The club took care of us, gave us a home (living with the Gibson and Robinson families) and helped us find work. Paul: We walked Ivy [the Dog] early on, really good natured pup. Then we worked at Santorini for a bit before working a majority of the time at Monza imports. We met some really wonderful people while working there. Danny: Day in and day out living in the Robinson household. Club house celebrations after wins. Sunday morning barbecues with Davo. Kicking the footy around with Cal (Gibson). Jam sessions at Nikesh's and hanging at Gil (Cordell-Radford’s). The night life in Melbourne is unforgettable along with the local crowd of Williamstown. Paul: Outside of lacrosse the most memorable experiences I had were with the friends I made. I got to stay with two great families the Gibson’s and the Robinson’s. Another experience that was particularly memorable I had was watching the Western Bulldogs make their grand final run after overcoming so much adversity during the season. We had the opportunity to go to the Bulldogs vs Hawthorn game and also the semi-final (Shoutout to Andrea) I couldn't have been prouder watching the Grand Final on my couch in New Jersey I just wish I'd been in Melbourne for it. Q: would you recommend other college players seek out the same experience? Danny: Absolutely. Come play in Melbourne, Williamstown if you want to bring home the shield and have an unbelievable experience meeting some of the best people I've ever met. It's an unforgettable experience and you will leave with a new view on life. Paul: It's a grand old flag it's a high flying flag! Any final words of your own? Danny: I love you guys. Shout out to Konrad Frankee for helping me get down under. Andrea and Davo Robinson for taking me and making me a part of the family, Tinker and Lauren (Gibson) for having my back and helping take care of me as well. And everyone in the Williamstown Lacrosse Club who made me feel like home. In 2017 we have welcomed another New Jesery native Brendon McGuire, a friend of Danny and Paul. Brendon has recently finished his studies and college lacrosse career at Providence College, in Rhode Island. 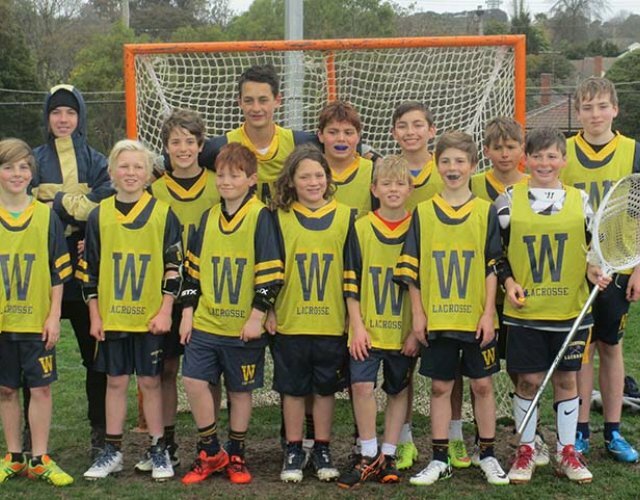 2016 saw mostly a fresh wave of players step up to the under 15 age group for Williamstown Lacrosse Club, hot off their success of a strong season in the u13's the previous year. We started off the year with a pre-season trip to our sister club, Brighton in Adelaide. This was an extremely enjoyable experience for the boys to play against the top u15 teams in South Australia and make friendships that will last a long time. A big thanks to Darren Gibson and the dads who came across to help make the trip one to remember. It was fantastic to see the enthusiasm and commitment to training and improving of each individual's game throughout the season, and it was rewarded on the field with a convincing grand final victory over Footscray. Chris and myself have to commend the unselfishness of all the players who offered to step up and fill in for the u17's during the season, which also allowed the boys who played u15's to get a good run on the park, as we had 19 boys to choose from every week in the u15 age group. We congratulate our award winners,Brock Gourley, Shae Moate, Darcy Cave and Xavier Suares-Jury, and also the players picked in the Western Metro team, who won the National U15's Championship this October. A big thank you to all of the parents who helped out during the season, you're commitment to the team helped Chris and I immensely, and also a big thank you to the committee who were able to get permits granted by Lacrosse Victoria to allow us to play all 19 boys in the grand final. I would like to finish off by congratulating the boys on another great season, it has been a pleasure for Chris and I to coach this group of fantastic young men. Looking forward to going around again next year. For two consecutive years now the Williamstown Division 2 team has finished minor Premiers and Premiers. In fact our Division 2 team as only lost 3 games in 3 seasons, which is a remarkable feat. This year Division 2 were challenged by a formidable adversary. “Camberwell” who managed to defeat our Division 2 team at Eric Raven Reserve on our first encounter (9 goals to 5). Camberwell continued their dominance over Williamstown, narrowly defeating our Division 2 team at the Fearon Reserve (12 goals to 11). 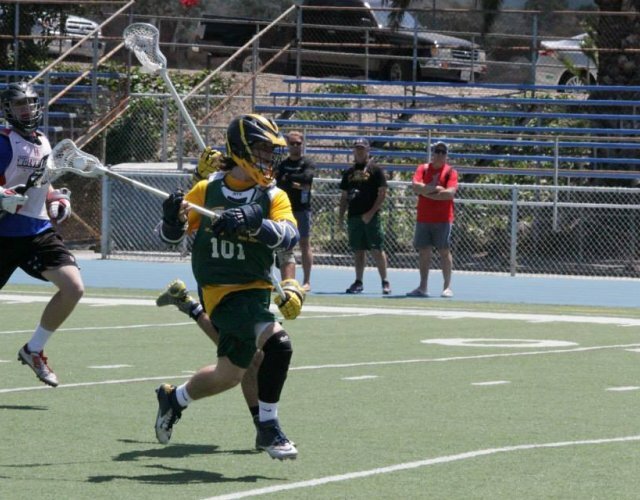 As players returned from injury and as Australian U-19 representatives returned to play Club lacrosse our player numbers increased, as did our competitive advantage. Determine to make amends for the previous 2 defeats against Camberwell our Division 2 team had a convincing win over them at Eric Raven Reserve (19 goals to 8). 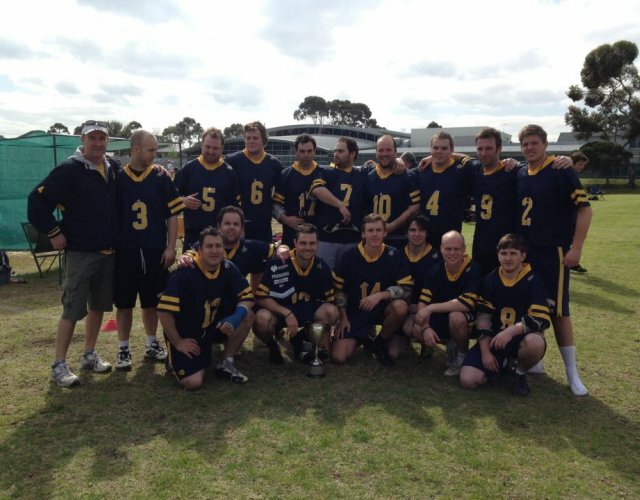 Our good fortitude continued into the finals, where a star-studded Division 2 team defeated Camberwell (17 goals to 11) and again in the Grand final (16 goals to 7). This is a great achievement for the Club given the extent of injuries sustained by senior player during the 2016 season. In 2016, we rotated 45 senior and junior players through Division 2. Simon Brown (Division 3 Coach) did an excellent job providing player statistics throughout the year which enable all Coaches to manage their player lists and ensure maximum player eligibility during the finals. As a player coach it is gratifying to be involved with such a successful team and club. Yet another season has come to a close and I would like to take this opportunity to congratulate our State league and Division 2 teams and the U-15’s on their Grand Final wins! 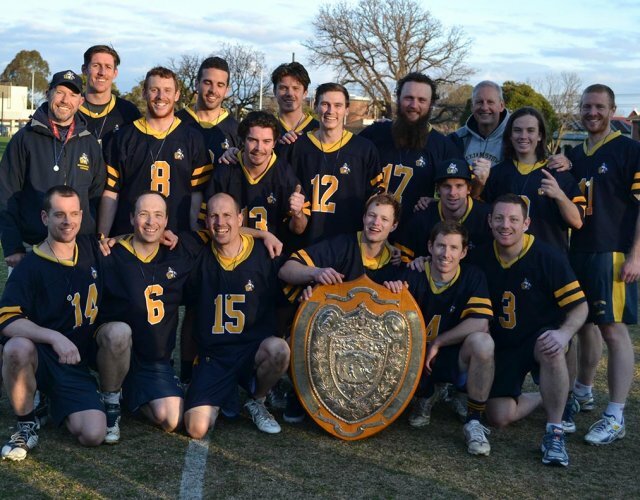 All sides played some fantastic lacrosse and secured another three premiership flags for the Williamstown Lacrosse Club. Well done to all involved! To all of our other teams, well done on another successful year right across the board. 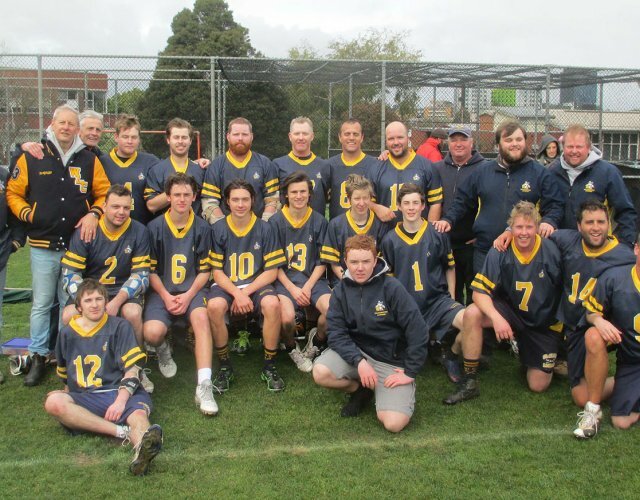 The Williamstown Lacrosse Club emphatically won the Victorian Men’s State League Lacrosse premiership for the second year running defeating local rivals Footscray 12-7. In doing so, Williamstown claimed its 32nd State League title. 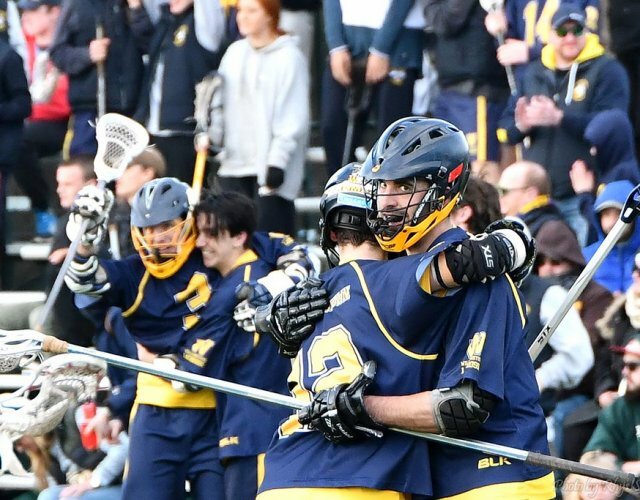 The stirring win was the culmination of a challenging year for the men in the Gold and Blue. The side was plagued with injuries to key personnel and prolonged player absences due to representative duties which tested the club’s on-field depth and off field resilience. Coach Damien Orr called upon 37 different players – including several juniors, State League rookies and retired veterans - to extend the side’s streak of making finals to 58 years. The adversity however was not without windfall. Seventeen year olds Cal Gibson (12 games) and Lachlan Russell (10 games) grabbed the opportunity to play regular senior lacrosse and eventually cemented their places in the team. 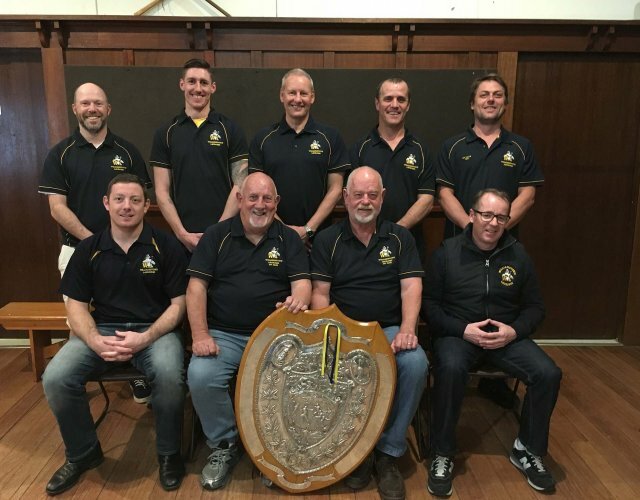 By doing so they collected their first state league premiership medallion alongside 20-year State League veteran Kyle Morlang who played in four premierships with Cal’s dad (Fearon legend Darren), from 1998 to 2001. It was Morlang’s 10th State League premiership. In the regular season finale, the Fearons were completely dismantled by a formidable Surrey Park outfit on a cold day at Mont Albert. The loss dropped the Fearons from first place to third going into the first week of finals and in doing so the team surrendered a double chance. From here, every game would be ‘do-or-die’. The opponent in week one of finals was Camberwell, riding high having made their first state league finals series in many years on the back of a thrilling one goal victory over Malvern. Camberwell had taken it right up to Willy in their round 16 clash where the Fearons came away with an unconvincing 14-10 win. The humiliating loss to Surrey Park appeared to ignite the Fearons. 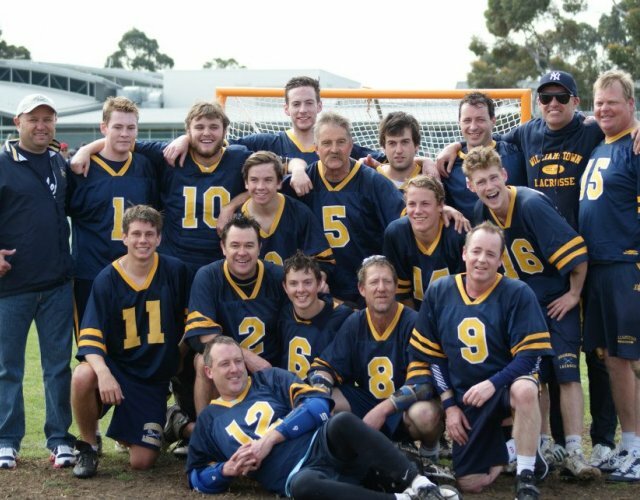 After Camberwell stuck the first two goals of the game with diving efforts low on the crease, the Fearons piled on the next 7 goals with midfielders Ben Newman, dog-loving import Paul ‘Big Strawberry’ Werner (Gettysburg College, USA) and attackman Kade ‘Ding’ Robinson taking charge. Camberwell would score only one more goal as the Huw ‘Hefner’ Wilson led defense closed shop on the Chiefs. Only some outstanding keeping from Camberwell’s goalie Sean Aaron kept the game from being a larger blowout .- Williamstown cantering to a 13-3 victory. The only downside on the day being a calf injury to long-stick defender, Josh Robinson. This was offset by the laugh of the season, when the Big Strawberry infiltrated the Camberwell pre-game huddle in search of a cuddle from a friendly pooch. Round two of the finals saw a match-up with Surrey Park for the second time in three weeks. With Josh Robinson’s calf injury proving too much to overcome, the team called on captain Jason ‘J-Mac’ Mackinnon to make an inspirational return to the field after badly breaking his collarbone early in the season. The Fearons picked up exactly where they left off in the first week of finals. Newman exploded out of the gates with three goals in a dominant first quarter, Noah ‘Noj’ Jenney and Sean Clarke controlled the face-offs and the defense blanketed the Surrey Park offense, holding them scoreless.The game turned into a mirror image of the previous encounter and was effectively over at half time with the Fearons holding a commanding 8-1 lead. The score would balloon out to 11-1 before late consolation goals to Surrey resulted in a 12-4 final score line. An eye-catching performance from 17 year old rookie long-stick midfielder Lachlan ‘Pup’ Russell spared Mackinnon any unnecessary work and the close defense of Chris Welsh, Matt Neumann-Duffin and Wilson ensured Evan ‘Wombat’ Willis had an easy day in goals. Alex Pike and Newman finished with four goals apiece and Danny ‘Lieutenant Dan’ Murray (High Point University, USA) demonstrated his nous tallying three assists in the rout. With the win, the Fearons progressed to the Grand Final for the second time in 12 months. Their opponent would again be last year’s runners-up Footscray, the form side of the competition whose high-powered offence had powered them to 12 wins on the trot (averaging 16 goals per game). For Footscray, it would mark their 4th successive appearance in the title game. Coaches and selectors staff faced a difficult week at the selection table with the prospect of returning captain Matt Price and Josh Robinson from injury. Neither would come up for the big game and the team went into the final match of the season unchanged with Clarke and Mackinnon leading the way as captains. An overcast day at Chadstone Lacrosse Club saw Williamstown competing in the Under 17, Division Two, Division One and State League Grand Finals. By the time the State League game rolled around, Division Two had saluted with Under 17’s and Division One losing in close fought matches. The first quarter was an even affair, with play going up and down and both defences turning the ball over numerous times. Werner opened the scoring for the Fearons, finding the net with two big outside shots past the Footscray keeper’s feet. At the other end Footscray forward Peter Kwas put away two shots on broken plays to take the teams into quarter time at 2-2. The second quarter saw Jenney and Clarke work their way on top of Footscray veteran Luke Jacques at the face-off ‘X’. With more time on possession and controlled ball movement the Willy attack generated lots of good opportunities putting Footscray’s defence to the test time and time again. Willy managed to net 4 goals to Footscray’s 1, taking a 3 goal cushion to the break. Goals came via Pike, a calm finish by Troy ‘Peckerhead’ Butson and two long-range blasts from Newman. The third quarter was a defensive struggle with both sides again having chances to score but for unforced turnover errors, shots hitting pipes and easy lay-ups being squandered. Willy managed to increase its lead on goals from Werner before star Footscray import Mike DeNapoli scored off a transition play. Butson calmly slotted his second taking (assisted by Werner). At the final change it was an 8-4 lead to Williamstown. With the game on the line, Willy found another gear. Within the space of a few minutes, a goal to Pike off a dodge and a pair of poised finishes from Murray broke the game open and gave the Fearons a seven goal lead. Footscray would not surrender, and their talented attack line found some rhythm through the middle stages of the quarter to score 3 unanswered goals. Any chance of a miraculous comeback was snuffed out shortly after – when Newman blew past two Footscray defenders after a time out to blast home from close range. Williamstown’s evenness and depth across all aspects was telling in the end – simply having too many contributors on both sides of the ball for their opponents. Special contributions were made by game MVP Paul Werner and season MVP Ben Newman, while injured captain Matt Price proved a calming figure on the sidelines alongside Coach Orr. Williamstown: Paul Werner (3 goals, 1 assist); Ben Newman (3g, 1a); Alex Pike (2g, 2a); Danny Murray (2g, 1a); Troy Butson (2g; Cal Gibson (1a); Kyle Morlang (1a). Footscray: Peter Kwas (3g); Mike DeNapoli (1g, 2a); Johnny Maher (1g); James Lawerson (1g); Kane Mollison (1g). Photo Album of the game here courtesy of Lacrosse Pix. 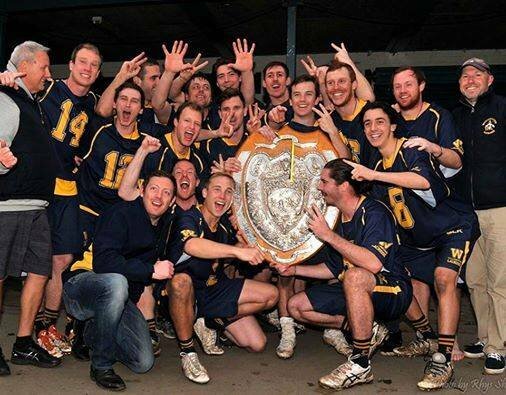 Welcome to the first in a series of interviews with Williamstown Lacrosse Club members. We will get to know some of the players, coaches, volunteers and characters of the club and find out why Willy Lacrosse is an important part of their lives. First up is club face off player Sean Clarke, who was recently selected in the Australian Under 19 Team. How did you come to start playing lacrosse at Williamstown? My mate Gil talked me into coming down and trying it out when I was in grade 6 and my little brother had played the year before I started so I wanted to see what all the fuss was about. Who was your first Williamstown coach and what do you remember most about him? It was Frogger (Matthew Price) in my first year of U12's, my best memories of him that year was when he used to give out stickers to us after games for scoring sick goals and completing the wall ball challenges at training. I played Australian Rules Football until I was 14 and I played Cricket until the end of high school. What has been your lacrosse career highlight so far? Would easily have to be winning the State League flag last year. What are your short term and long term goals in lacrosse? Short term goals are to keep training hard these next few months to put myself in a position to compete with the best players in the world when the U19's travel to Coquitlam in July for the Worlds and to put in another good effort in State League this year. Long term I'm not too sure about yet, being able to have a stint in College would be pretty cool and to represent Australia in the Seniors to would be an awesome experience too. If I'm still playing for WLC until I'm half Smeller's age i'll be a happy man. What does it mean to you to be representing Australia at the Under 19 World Games in 2016? I'm really excited and honoured to have the opportunity to play in the U19's, I can't wait to get to Canada and have a crack. I have to really thank my family for their support and everyone along the way whose has given their time to teach me Lacrosse. You’ve been working with Face Off specialist coach Matt Schomburg, what has that experience been like? Schommy has changed the way I looked at the the Face Off position, since I first met him about a year ago my technique has changed and improved a heap and I've been lucky enough to practice with some of his kids on Long Island NY who are incredible face off men. That experience showed me how much further I have to improve to even compete with the top Face Off players. Schommy's brutally honest and passionate approach to coaching has really helped motivate me to get out there every day and practice. How are you finding the training process, especially the physical preparation? It's pretty full on, I haven't trained this hard for anything before. I'm either running or at the gym every day on top of doing my skill work daily plus lacrosse practices too. Half the battle is eating well and getting a good night's sleep to get me ready for the next day, I'm curious to see how I will fair once it comes to the World Championships. How are you handling the demands on your time between national team training, club training, work and study? Since the trials started for the U19's my time management has improved tremendously which I am pretty happy about. I'm able to get through my daily training with work and have some time left over to hang out with friends, although it does mean usually staying in Saturday which can be hard sometimes. I didn't study last year so that helped free up time for Lacrosse. Outside of lacrosse, what are your academic and career goals? My academic goals are to complete my university course I am starting this year which is Accountancy, and to get a job out of uni, hopefully i'll get to travel a bit with work too. What does being a player and member of Williamstown LC mean to you? It's definitely the best club to be a part of for sure! I'm extremely grateful to be a part of club that is so much fun on and off the field. It has one been the best experiences of my life to be a part of the Williamstown Lacrosse Club and to have so many guys that have played the game at a high level to help teach the younger generations through to becoming great players themselves is something really special. 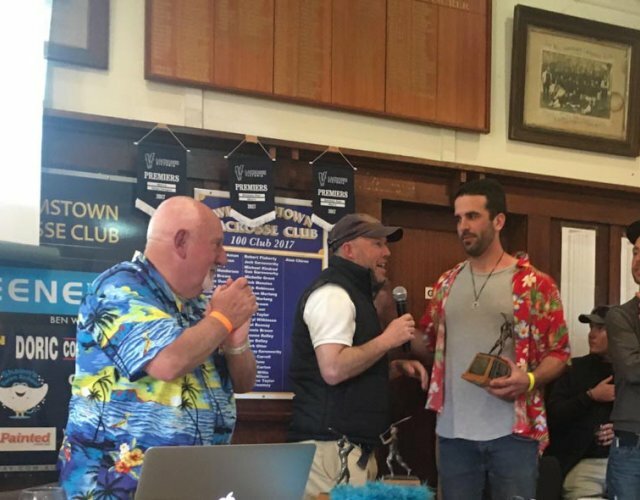 At the 2015 Annual General Meeting, the members of Williamstown Lacrosse Club inducted Gregor 'Gus' Garnsworthy as a life member. This is an honour well deserved and a probably long time overdue. 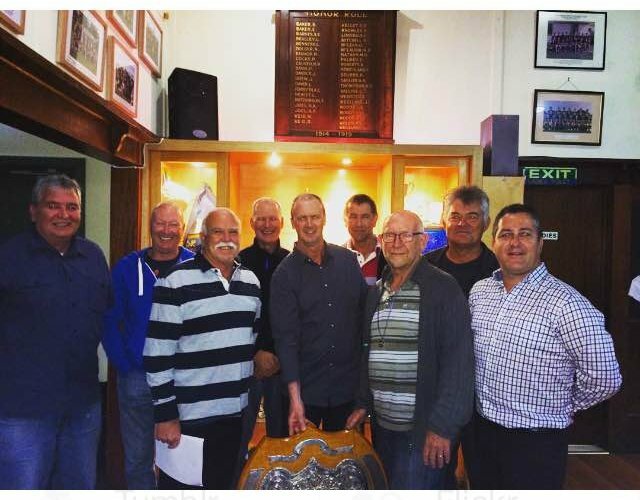 Gus was unanimously selected for life membership in the presence of a number of members of the 1985 and 1986 State League premiership teams. Gus played an instrumental role in the development of juniors at the Williamstown Lacrosse Club, particularly in the 1980’s. Gus, a teacher by trade, successfully passed on his passion for the game onto many of the juniors he coached. He built a strong foundation for the future generation of lacrosse player at the WLC. Many lacrosse players under his tutorage went on to have long and successful lacrosse careers playing for the club, representing Victorian and Australia. Many of these players’ honour and respect Gus for his efforts in assisting them realise their full lacrosse potential. Gus played a significant role and was involved in running the WLC Saturday morning Sofcrosse programme of the late 70s- early 80s, with Georgia Flaherty. He was instrumental in the establishment of the highly successful Local Primary Schools soft lacrosse competition of the mid 80s; and coached the U16 WLC teams to two consecutive premierships in 1983 and 1984. Gus has a very impressive and long list of Lacrosse accolades which are listed below. The success of this Club in the last 20 years can be contributed to many individuals who have devoted their time and energy toward the advancement of Williamstown Lacrosse Club and lacrosse in general. The following accolades and player statistics were extracted from the Williamstown Lacrosse Club Annual Report and Club Player Statistics posted on the website. 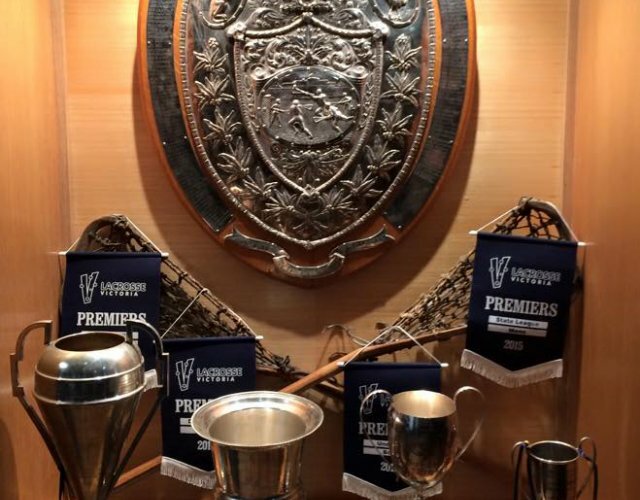 In the 2015 season, Williamstown Lacrosse Club was the only club in Victoria which entered and maintained a team in every age group and division of Lacrosse Victoria competition. We are very happy to say that all of our teams this year from Under 13s to Seniors participated in their respective Grand Final. At the conclusion of the LV Final Series we have four more premierships to our name. Under 11's - no ladders but the boys had a great season of improvement! Under 13 Williamstown Fearons - Premiers beating Williamstown Cities 10 to 7. See you all back in 2016! Early in 2014 the Williamstown Lacrosse Club committee commissioned a portfolio to research, interview, write and gather items on the history of our lacrosse club that was established in 1898. Long time player, coach and committee member, Damien Orr, who has recently returned to the Club after many years following lacrosse and life around the World was appointed as the head of this important historical project. Damien has uncovered some incredible information via national archives and from other more local sources. The information set out below is written by Damien in summary of some of his early findings. It still seems a little daunting to go back all those years and see what we can come up with, but with a little help from friends we have managed to uncover some lost treasures and even learn things we didn’t know about our past. Our very first game was against Essendon Lacrosse Club in 1898 and the first goal thrown for Williamstown was by a player on loan for the day from the opposition club. 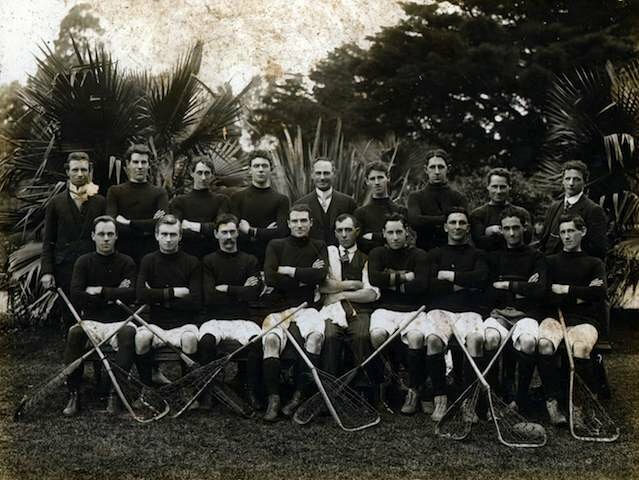 Williamstown went on to win the game and such seemed the enjoyment of the sport that the founding members joined in the Victorian Lacrosse Association and kicked off the club's inaugural season in 1899. As the first project we uncovered as many newspaper articles as we could about the 1899 season and it has been on display in the club along with a photo of the first team. The next move was to interview two of the oldest members of the club in Ken Speakman and ‘Pud’ Martin. Ken’s interview has been recorded along with conversations with Ken and ‘Pud’ as they delve over some of the old photographs in the club. All should be available on our website over the summer. Future projects on finding out about and addressing our past will be to uncover some stories from the men who lost their lives serving Australia in the ‘Great War’ of 1914 to 1918. There are 40 or more names on the list and it will be a challenging but rewarding project to see if we can gain some understanding of who these men were and where they are buried. Some follow-up on current living legends and their and our on field triumphs will very much be the focus of our tradition rich club in the coming months. If you would like to join in a project or have any information, pictures, relics or yarns you would like to share get in touch via team app, email or facebook. 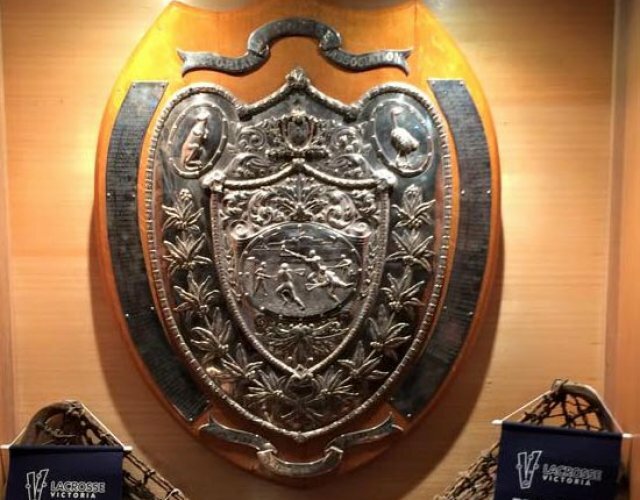 After an incredible year both on an off the field at WLC brought about a lot of hard work and dedication the club experienced something that may not have occurred since the 1930s (we are still checking the record books) when every Senior team and the Under 18s won their respective Grand Finals. The slightly overcast but warm September day started off with the Under 18s, Coached by Steve Pike with assistance from Eric Jenney, defeating the Southern Supremes 14-13 in an epic match. Sean Clarke who stepped up from under 16s sealed the win inside the last 30 seconds with his first goal of the day. Alex Pike, who was also named league MVP scored 7 goals in the rousing victory. Up next was Division Three who, after giving the rest of the league a three-week head start, finished the season undefeated and on top of the ladder with Malvern being their main rival. 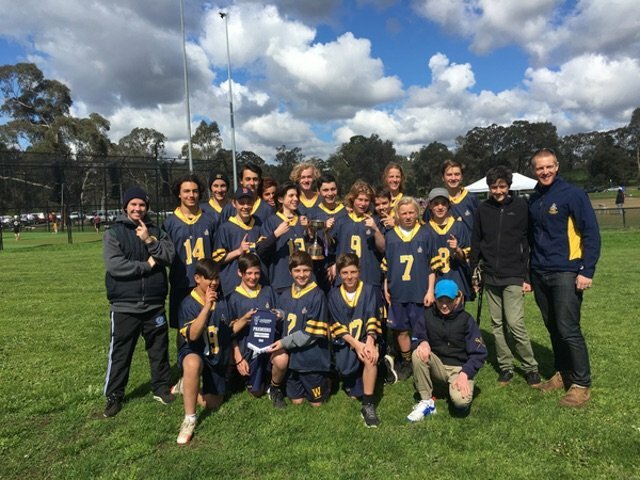 True to form it was Malvern that had to be confronted in the Grand Final and consistent with the rest of the season our boys gave them a 4 goal head start, trailing at every break until a huge final quarter saw the Blue and Gold power home to a 13 - 8 final score. 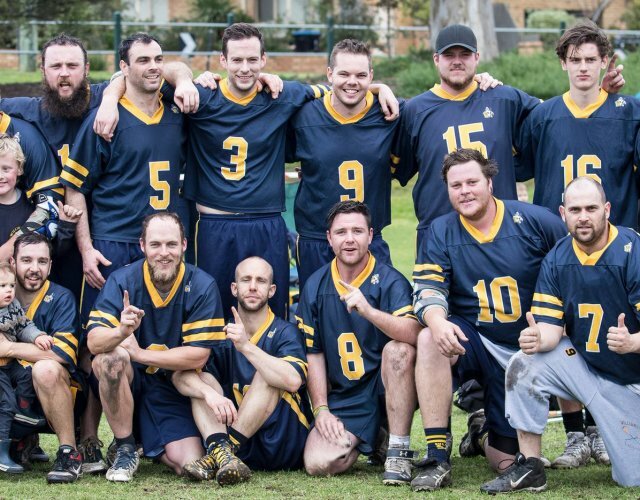 Division Two, anchored by new goalkeeping convert Adam Dobson, fielded possibly the most talented ‘thirds’ team to ever set foot on a Victorian lacrosse field. Recent State League players, Shea Menzies, Josh Ardossi, Dan Garnsworthy and Troy Christensen teamed up with former and future stars against local rivals Altona. The A’s showed plenty of vigour but were never in the hunt as the Fearons led 12 – 4 at half time and ran away with the win 20 – 9. Shea Menzies starred on attack with 5 goals and was helped by Willy getting constant first use of the ball through midfielders Michael Kindred and Andy Errington, while the solid defence of Ross Speakman, Corey Richardson, Steve Millar and Matt Ryley held firm all day and kept Altona out of the game. Division One stepped out against a young Moreland side eager to continue the Williamstown Division One Grand Final hoo-doo. Despite constant strength in numbers, Williamstown’s Division One had not held the cup since the year 2003. This year, with renewed interest from full-time coaches Mark and Alan Lewer the club was determined to not only support State League but to win the flag in its own right. 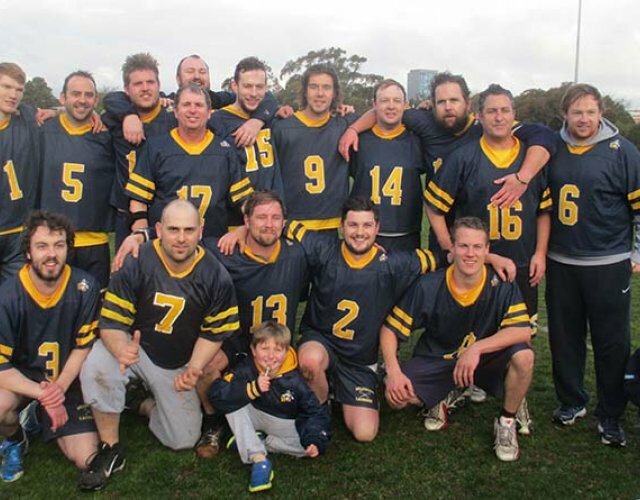 After a dominant season there was never any doubt as a 14 – 2 half time lead rolled into a 23 – 2 full time drubbing. Ash Wilkinson and Jourdan Smith shot 6 and 5 goals respectively while Under 18 stars Alex Pike and Noah Jenney shot 3 and 2. The old firm of Darren Gibson and Al Lewer also shot 3 a-piece. Nathan Barrett was superb in defence not allowing Moreland so much as a sniff. With all teams getting the job done early in the day it remained for State League to hold up their side of the bargain to complete the historic ‘clean sweep’. 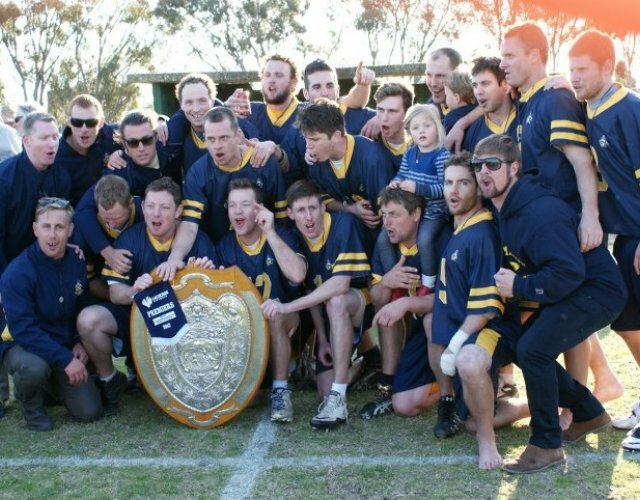 And, after the disappointment of losing to Surrey Park in the 2011 Grand Final, the Fearons had a point to prove against the old rival in Malvern who themselves had surprised the league by topping Surrey Park to make the Grand Final. Malvern, who were appearing in their first finals campaign since 2002 were high on confidence as they came into the game however Willy were quick out of the blocks through goals to Darren Nicholas, Daniel Jennings, Kyle Morlang and Troy Butson taking the Fearons to a 5 – 1 quarter time lead. A rock solid first half from defence and midfield ensured the Williamstown attack had the majority of the time on attack and despite Malvern’s goalkeeper standing tall Willy led 11 – 5 at the main break. From here Willy was never headed by Malvern who stuck to their game plan and scored a volley of late goals but to no avail as Williamstown rolled out 18 – 10 victors and regaining the Joel Fox Shield for the fourth premiership in 5 seasons. The whole club from the newest under 12 players and parents to the most experienced supporters should be congratulated on what has been an incredible year. We are a very fortunate club but we make the most of our fortune with hard work and commitment, much of which goes unseen and unrewarded. It’s time to enjoy the results of that hard work and come back fresh in 2013 with new aims, new goals and a commitment to growing this sport and ensuring the success of our great club.